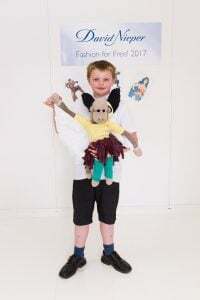 A dream catching teddy bear was one of the show stealers at the David Nieper ‘Fashion for Free’ Primary school’s competition today in Derbyshire when over 70 local children, aged 5-11 took part in the annual ‘Fashion for Free’ design competition. The competition which is in its 7th year has been established to help encourage children to use their imaginations, be resourceful and learn how to create and make things. This year’s ‘Super Heroes’ theme certainly caught the imagination of the children, who were asked to create an item of clothing, bag or hat by re-using scraps of material, old clothes and even unwanted curtains to create a spectacular design. 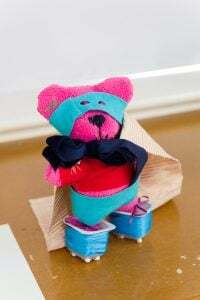 Ella Moore from the Mundy Church of England Junior School won first prize in the ‘New Superhero’ category for her Dream Catcher teddy bear, made from an old dressing gown and inspired by her mum for catching her bad dreams. In the same category a fellow ‘roller-skating’ bear designed by Jennifer Leung from Munday School took third prize and Kai Goodjohn from Shirland Primary took second place with his ‘Jet Monkey’ back pack. In the ‘Existing Superhero’ category Kara Rabbit from Shirland Primary won first prize for her Suicide Squad cape, while Ruby Rose Hinnett from Woodbridge school came a close second with her Batgirl costume and Josh McDonald also from Woodbridge came third with his Batman design. 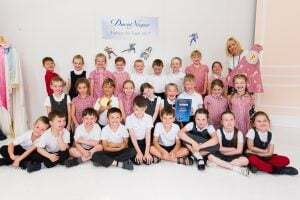 Copthorne Community Infant School scooped the award for most inventive group for their Captain Punctuation design and Woodbridge Primary won the award for the school submitting the best variety of designs. As part of the day’s activities the children were given an interactive tour of the David Nieper fashion house. They visited the sewing rooms and design studio, where they were able to watch designers and dressmakers at work, and they learned about how clothes are made from start to finish. The children also had the opportunity to join in fun, craft and sewing activities during the day including button and bow making as well as practicing their cross stich, before the presentation of prizes which were judged by Dr Kathryn Hobbs, Headteacher at the David Nieper Academy. “We have been running this award for seven years and every year the entries keep getting better! 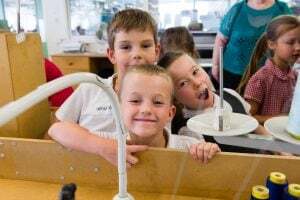 It is a great privilege for our company to work with the local primary school children – their enthusiasm and imagination is always a great source of inspiration. At David Nieper we work with young people of all ages to encourage the development of creativity and today we have had some very young children, aged only 5 and 6 enter this competition.